and is directed by Randi Van Der Sloot. 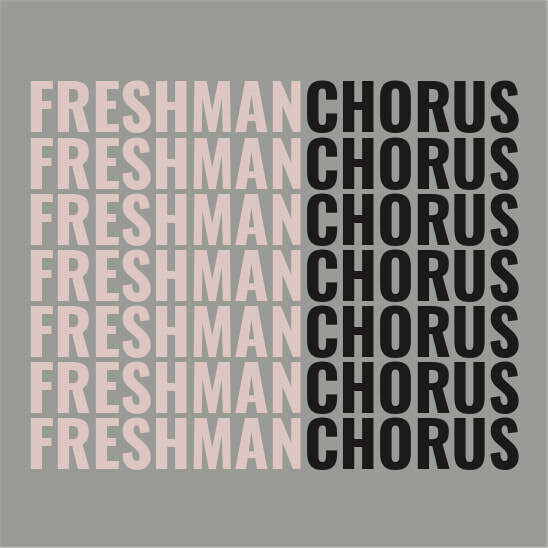 Freshman Chorus rehearsals are split into two class periods each day. The students then come together for a mass rehearsal the morning of the concert to hear themselves in their entirety! ​sight reading skills and musicality. Freshman Chorus performs in four concerts each year and Large Group Contest.